Heartiest congratulations to three adult volunteer members of the Army Cadet Force who have been recognised in the Queen's Birthday Honours. Their awards are richly deserved. Colonel Drew Cassidy was honoured for his many years' voluntary service to the Angus and Dundee Battalion, Army Cadet Force, retiring recently as Commandant. He is now serving as a Trustee of the Army Cadet Force Assocation (ACFA) and is Chairman of ACFA Scotland. Colonel Roger Herriot served the Army Cadet Force in a voluntary capacity for many years, recently ending his career as Commandant of Cambridgeshire Army Cadet Force. Sergeant Major Instructor Charlie Cooper received the British Empire Medal for his support to the Army Cadet Force in Surrey over the past 16 years. He joined the ACF as an adult volunteer after first serving in the Regular Army and then the TA. 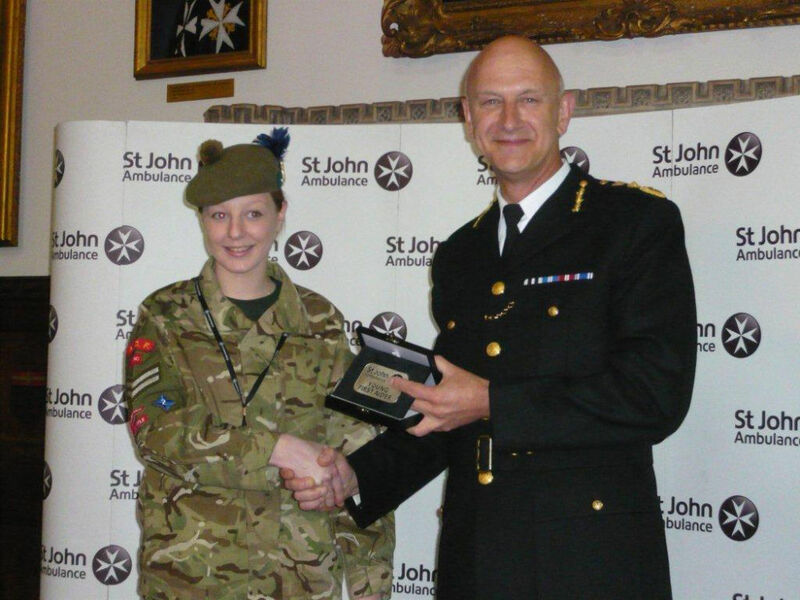 SMI Cooper is one of the unsung heroes of the Army Cadet Force. He has worked tirelessly for over 16 years in the training, support and development of many hundreds of cadets and in improving the lives of young people in his community. In addition to the Cadet Force, he has also taken a consistently pro-active role in many local youth and community projects. Of particular note has been his involvement in a programme to clean up the St John’s Estate in Walton and in his Outreach programmes for disaffected young people from same estate. Taking vulnerable young people off the streets, giving them training in useful skills such as first aid and map reading, in co-operation with Surrey police, has had a measurable impact within the community, significantly decreasing vandalism and graffiti for a sustained period of time. His personal leadership style, no nonsense approach and innate fairness has a lasting impression on young people. SMI Cooper is a community leader in every sense of the word. He is consulted by the Lord Mayor of Elmbridge, Walton on Thames police representatives and other local public servants when there are issues concerning community relations. His input and influence on matters in and around Walton on Thames is both important and pertinent. Despite his disability (he has chronic back pain brought on by his military service for which he has had much surgery with little improvement) he has worked tirelessly for service charities, raising over £80,000 through his persistence and dogged determination. In 2011 alone, in a two week period, he and his cadets raised over £11,400 for the Royal British Legion Poppy Appeal. SMI Cooper is the man that Walton community leaders turn to when they want something done. Whether it is a parade through the town, assistance at a civic event or other such event, SMI Cooper can usually organise it. SMI Cooper has demonstrated the highest standards of personal example over many years of service to the community, being, at all times and in every way, up to the highest traditions of the Army Cadet Force.